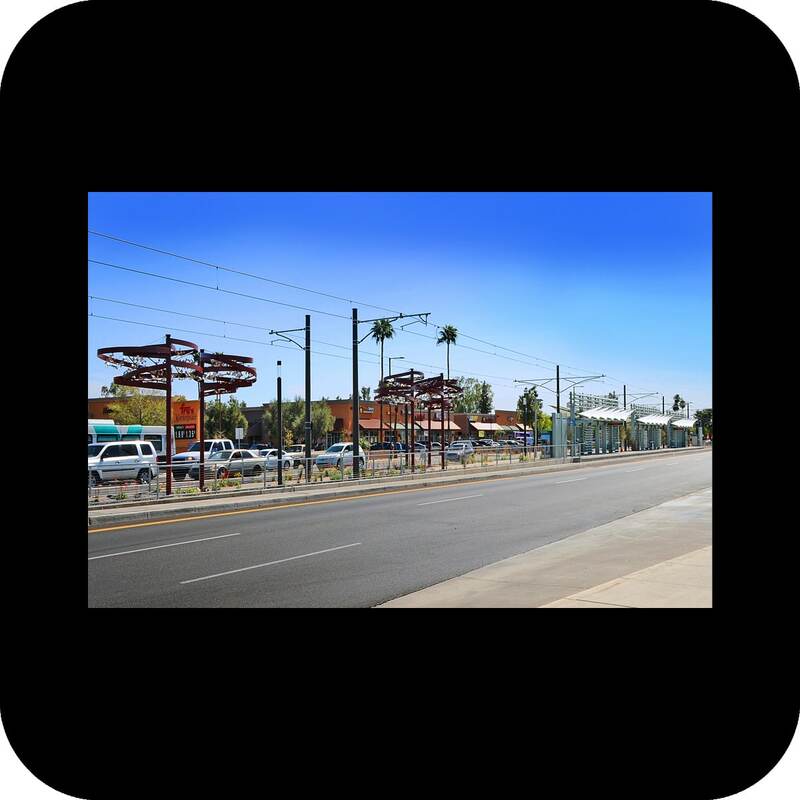 the glendale avenue light rail station is located in the middle of a busy multi-lane street and is accessible through a 180′ long pedestrian approach along the median. 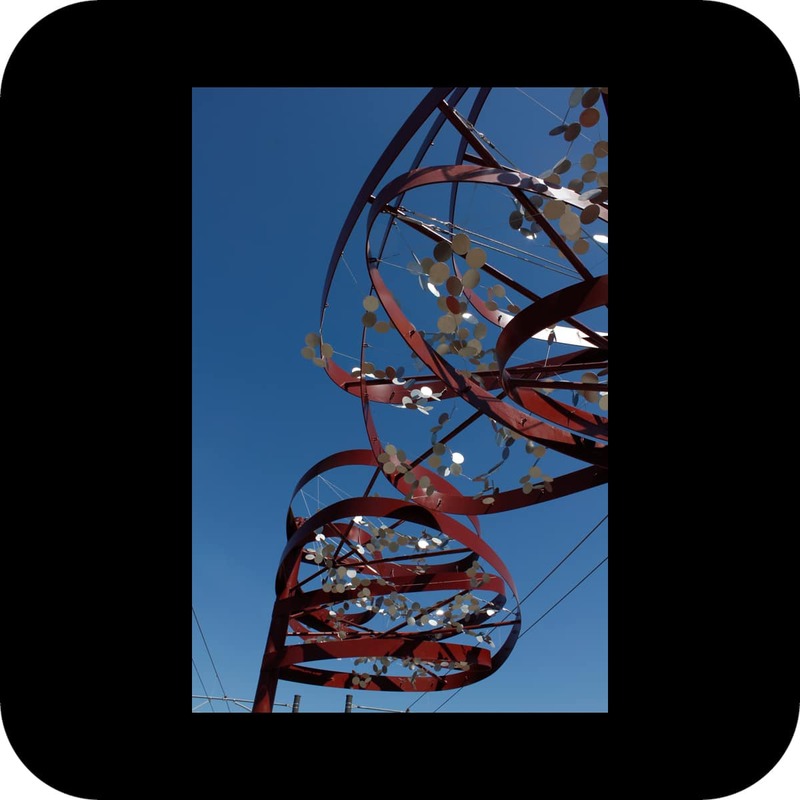 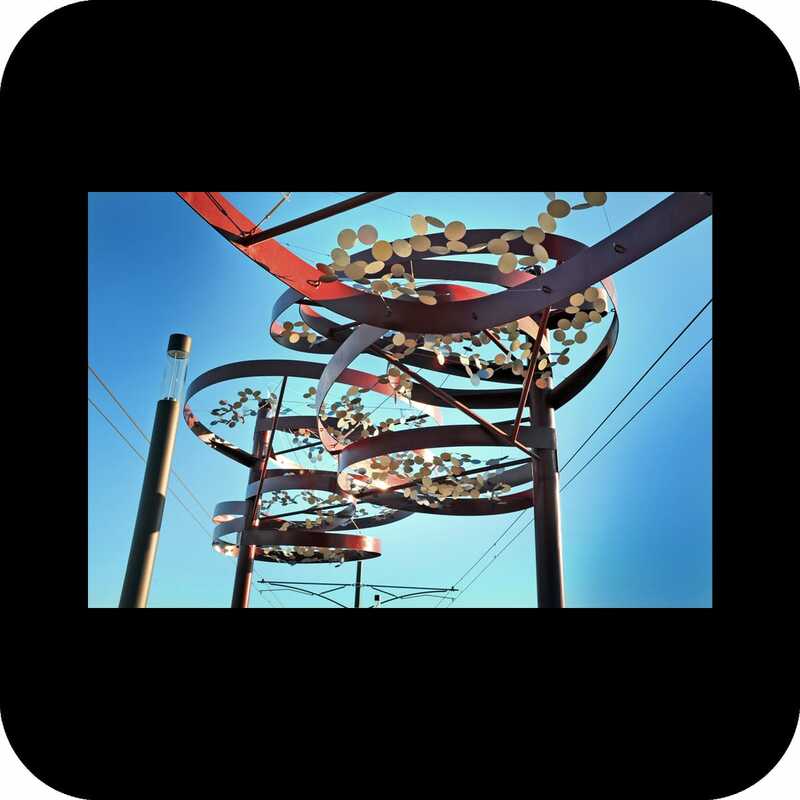 the art installation consists of five organically shaped canopies lining the walkway to the station, and was inspired by the origins of the name arizona: the basque words “aritz ona” mean “the good oak tree”. 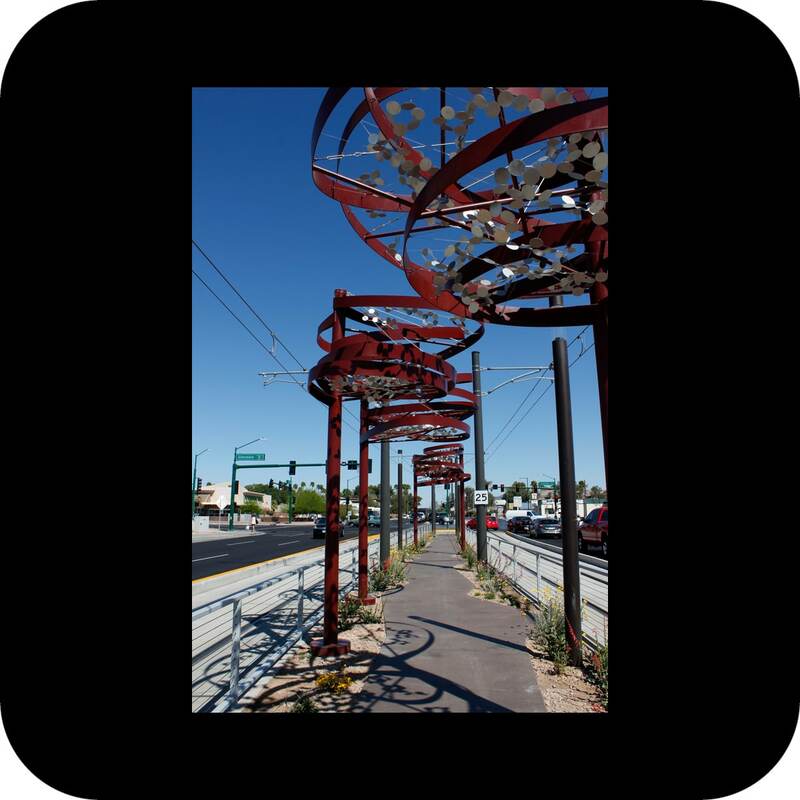 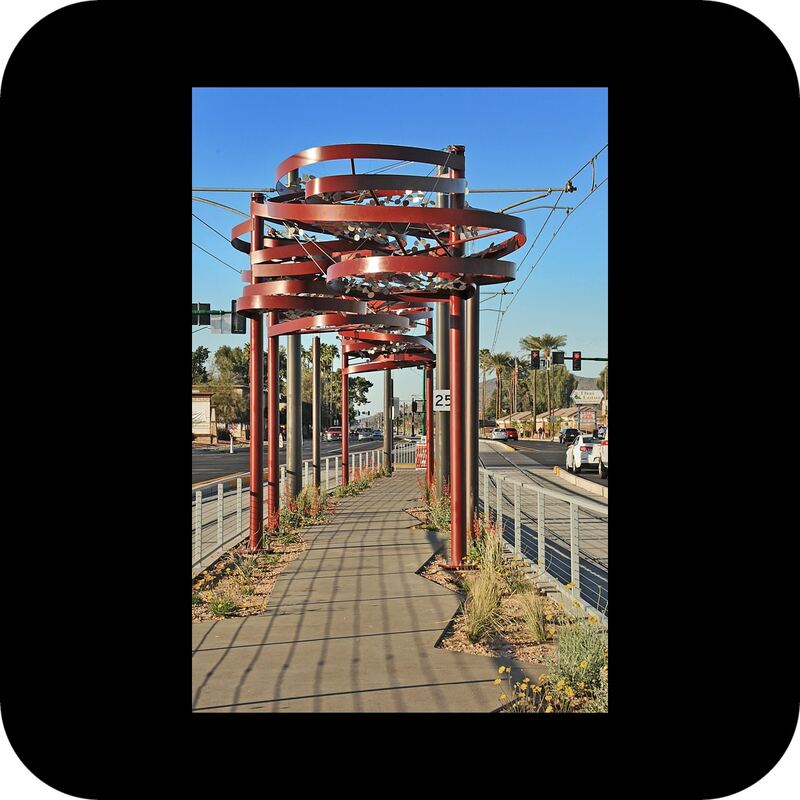 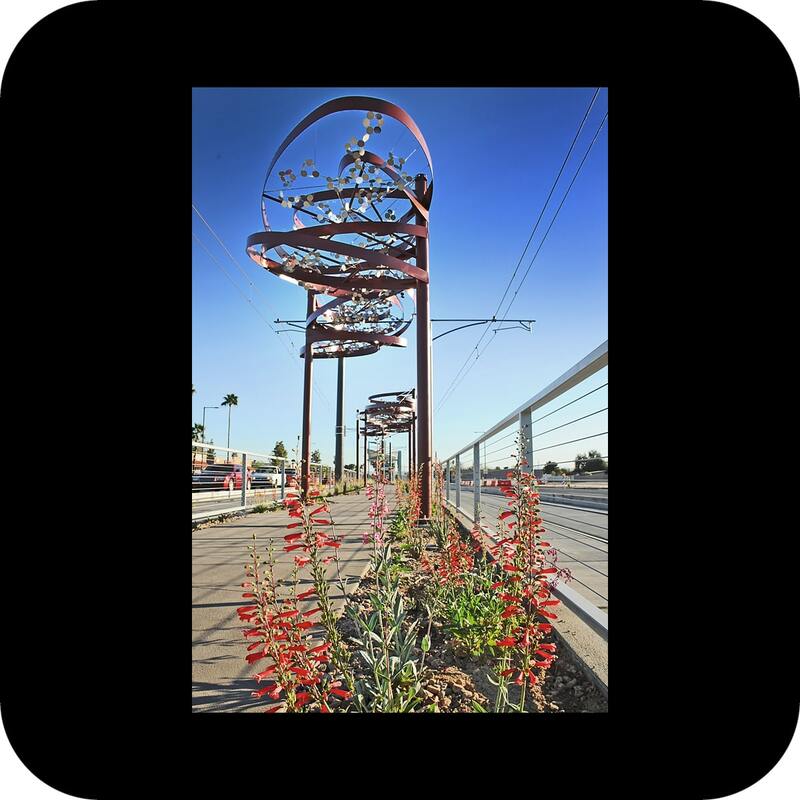 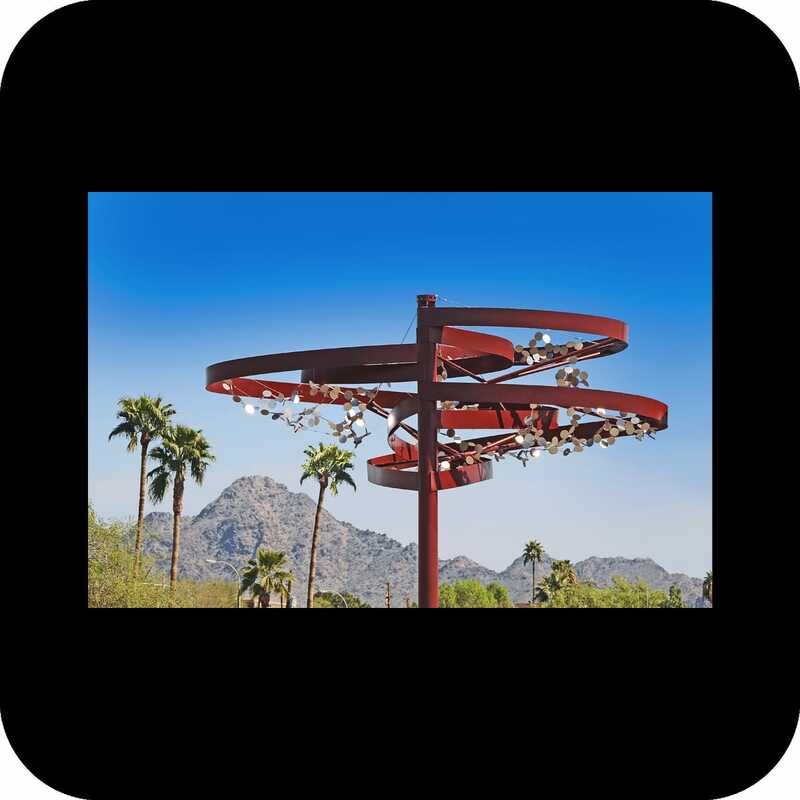 our art “trees” add rhythm, shade, and interest to the station approach, and serve as a landmark to passersby and light rail passengers alike. 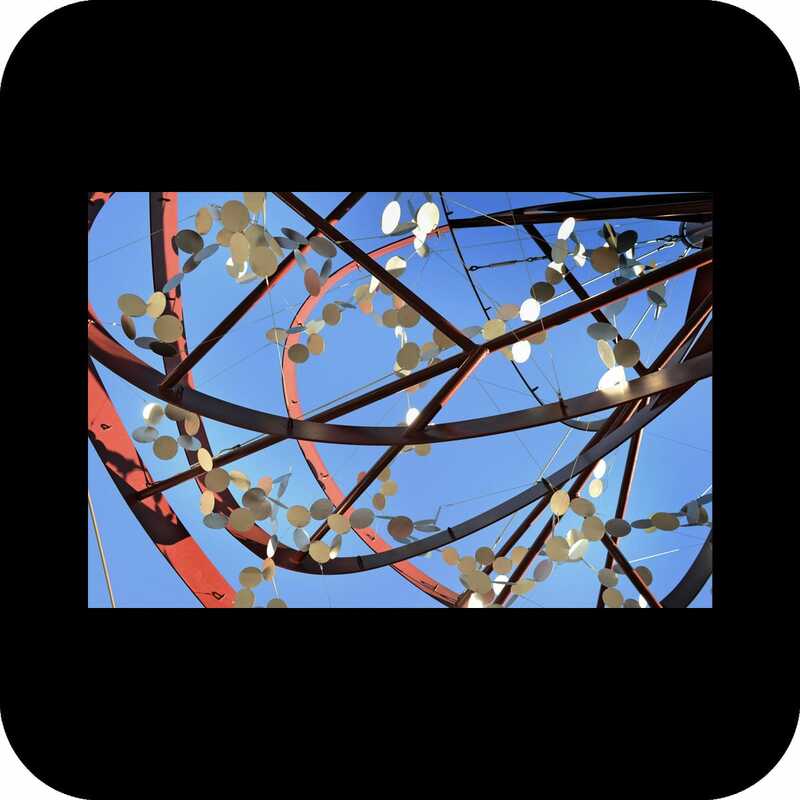 small, sequin-like elements fill the canopies; they sway lightly in the wind and cast both light dots and shadows on the ground.